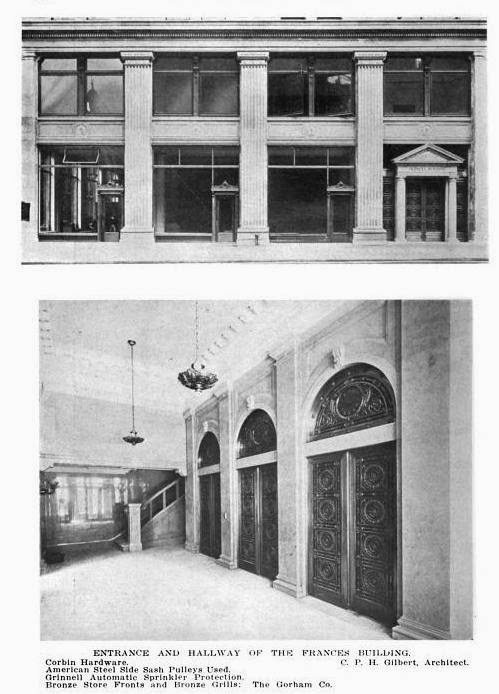 The Frances Building designed by C.P.H. 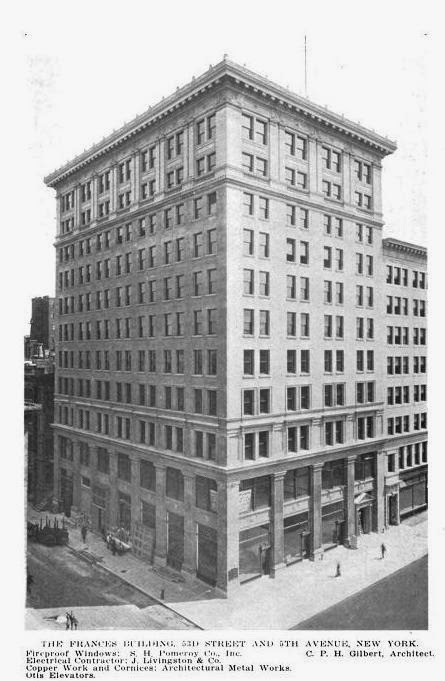 Gilbert c. 1911 at 665 5th Avenue at 53rd Street in New York City. 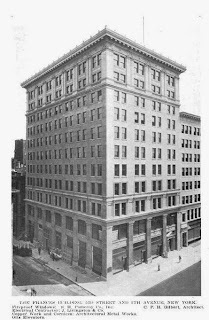 Financed by Edward Holbrook, the building was designed to house a bank on the ground floor and offices above. Click HERE for more on the Frances Building which has since been demolished.